How Can I Build A Better World? As a Certified Holistic Health Coach you will be able to redefine making a living. To thrive in today’s economy, we need to build locally rooted businesses that can meet the needs of our towns and cities. Solving the population’s health problems after years of eating harmful, unhealthy foods will take more then a quick fix. With our emphasis on Vegan Plant Based Living Foods you will be able to offer them sustainable, long term solutions that empower people to be passionate about the future of their lives. How Can I Combine Passion With Profit? For many Americans their diet is at a crossroads. They know they can no longer afford to sacrifice their health and wellness to foods that can make them ill. It is time to change course. With our emphasis on Vegan Plant Based Raw Foods education, you will be well positioned to make an immense, direct impact by offering alternative, innovative solutions to the growing need for diet change. Customer connection is one of the most satisfying aspects of becoming a Certified Holistic Health Coach. Our ‘Business Class’ is devoted to helping you as an entrepreneur to create and grow your wealth while bringing your passion for healing to your clients. In the world of health and wellness, the Health Coach is an emerging new role. Health Coaching is recognized as a new way to help individuals manage their illness and condition, especially those of a chronic nature. As more Americans seek answers to their mounting health problems, demand in this new market is growing. The years ahead promise higher than average returns in this exciting and lucrative field. For many people, having structured support can make the difference between making needed changes or slipping back into unhealthy habits. Objective, professional support is key for your client’s success. We will give you the solid training to fill that role. What Makes Our ‘Certified Holistic Health Coach’ Training Different? We are the only 100% OnLine Certified Holistic Health Coach Program that gives you results oriented skills with an emphasis on Detoxification Therapy and the Vegan Plant Based Living Foods Diet. We believe that giving you a concrete plan of expertise to pass on to your client will position you for maximum success. This will allow you to stand out from the pack as an authority that can guide your clients toward the shifts in health they are looking for. According to Bureau of Labor statistics, jobs in the Health Education field are expected to grow 18 percent by the year 2020. America has a serious health epidemic that needs sincere help. One in three women and one in two men are diagnosed with cancer yearly. Diabetes is the leading cause of death in the U.S. 90% of diseases once believed incurable are now being attributed to diet and lifestyle choices. In our program you will learn to provide diet and lifestyle intervention for those clients wishing to address obesity, weight loss and life threatening diseases. For many people, having structured support can make all the difference in making needed change. We will teach you to become that support system. How Will Board Certification Help You? Diet For Living School is Board Certified by the American Association of Drugless Practitioners, meeting it’s requirements as a Higher Educational Institute. As a Graduate of our Program, if you choose, you are eligible to receive international Board Certification from AADP. Their Health Practitioner Certification helps you instill trust while expanding your professional development. How Will Our Business Class Help You Succeed? We believe in the power of multiple streams of income. We believe the best way to build a sustainable career, one that will compete in the modern market place, is to offer your clients more reasons to return to you. During class we cover how to become sales affiliates for Vita-Mix Blenders, Omega Juicers and Excalibur Dehydrators. Albuquerque, New Mexico is a great place to vacation while attending the Diet For Living School! We are close to the airport and many comfortable motels. All are within easy walking distance to the School. Is Your Education Tax Deductible? In the USA all expenses for continuing education undertaken to maintain and improve business and professional skills are tax deductible (Treas. Reg 1-162-5), so keep your receipts. Contact your tax consultant for further information. We have kept tuition low compared to other certified programs, so that you can get the most out of your investment. 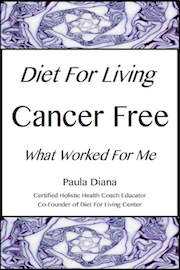 Spaces at Diet For Living School events and workshops fill up quickly. As a result, all sales are final and there are no refunds. You do have one full year (12 months from the date of signing up) and can make one change to complete your chosen class. If you find yourself unable to attend within the 12 month period from initial signup, your class is 100% transferable to one of your friends or family members. They must complete the class within the 12 month period from your initial signup. Or you may donate your place to our scholarship fund to help out another individual take the class. What Do I Need To Attend The Class?